We welcome broad participation from the academic, think tank, policy, and defense communities and emphasize that the Chatham House Rule will apply. Please note: This event is not open to the general public; participation is open to U.S. citizens and foreign nationals by invitation only. Click here to access the official agenda. A more detailed unofficial draft agenda is appended below. 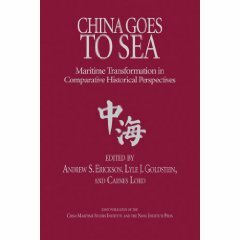 As with all previous CMSI conferences, the full proceedings will be published openly in the Naval Institute Press book series “Studies in Chinese Maritime Development.” It will be the eighth book, following our just-released edited volume on China’s Maritime Gray Zone Operations. 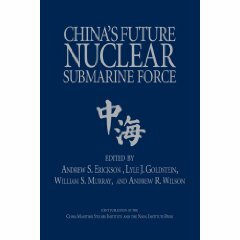 The PLA Navy is engaged in a “strategic transformation” (战略转型) from a regional, or Near Seas, navy to a force also capable of effective operations in other parts of the world (i.e., the Far Seas). As critical as its Near Seas efforts are, China’s capacity to operate in the seas beyond East Asia is much more significant for its influence in the broader world. Observers have paid great attention to the outward signs of this process: new ships and submarines, the country’s first overseas base, and new training and deployment patterns. However, there exist serious gaps in our knowledge about the strategic calculus guiding observed behavior. Given the strategic and operational issues at stake, the U.S. Navy must rapidly increase its understanding of this vital subject. 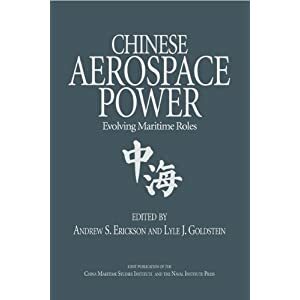 This conference will therefore address the interests, drivers, and objectives that inform decisions about the roles and missions of Chinese sea power in areas beyond maritime East Asia; as well as the resulting trends and implications for global maritime dynamics. We’re pleased to announce that registration is now open. As mentioned above, participation is open to U.S. citizens and foreign nationals by invitation only. If you would like to attend, please click <https://nwcevents.wufoo.com/forms/r1rjoug51fs8pbw/> to register. You will be redirected to a secure site (WuFoo) that will collect necessary details. There is a block of rooms available at the newly-built Navy Gateway Inn and Suites (NGIS) at Naval Station Newport. Transportation will be provided from NGIS, which is also a short walk from the Naval War College. Instructions for reserving lodging at NGIS are included within the registration process. For DoD employees in need of DoN/AA approval to travel, the Naval War College is in the process of requesting DoN/AA approval of the 2019 CMSI Conference as a Department of Defense sponsored conference. Once this blanket approval is received, DoD conference attendees WILL NOT need separate/individual conference approval to attend. If you have any questions about the conference, please contact CMSI’s Deputy Director, LCDR Joseph Freda, by phone at (401) 841-3263 or by email at <joseph.freda@usnwc.edu>. 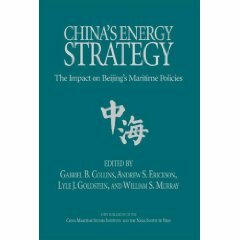 Part 1—China’s Naval Transformation: How Fast, How Sustainable?